We’ve kept everything you love about reclaimed décor: tight knots, mineral streaks, and wear spots from years of use, but left out the dirt, nails and germs of old, reclaimed materials. 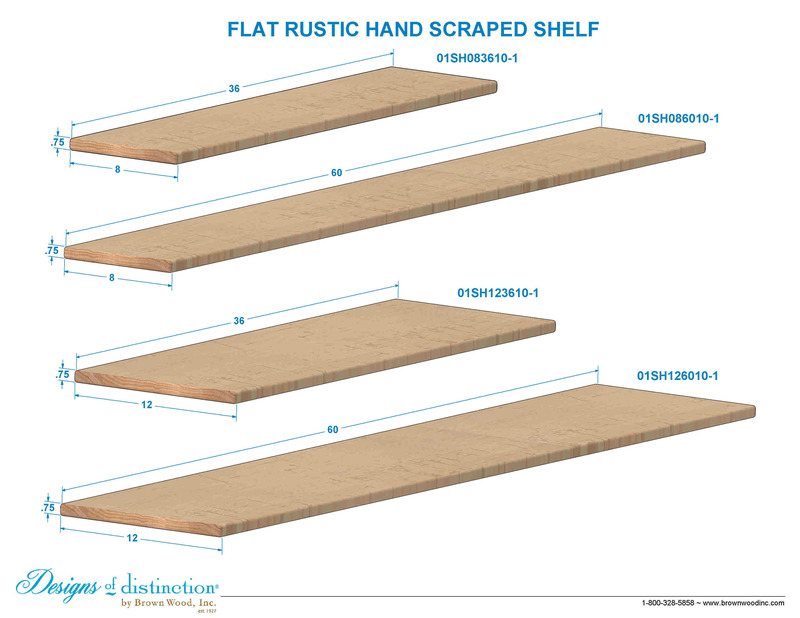 The hand scraping process, which leaves open grain, gouges, and uneven surface, completes our rustic and industrial style flat shelves. **Brackets not included with flat shelves.